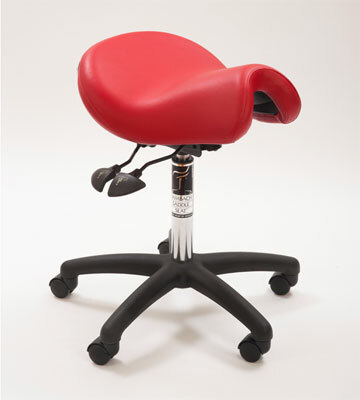 The Bambach saddle was designed to promote an upright sitting posture. 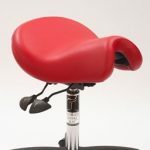 The users split leg open sitting position allows for weight bearing through the legs and feet as well as through the sitting bones in the pelvis innervating good posture without slumping. 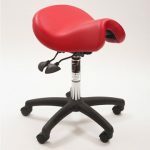 The design of the Saddle makes it difficult to slouch or adopt unaligned postures and allows the user to sit in a higher position than normal at the desk. 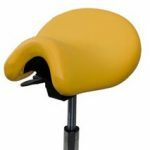 The Bambach Saddle comes in a variety of shapes and sizes and should be fitted taking into consideration your gender, height and body type. 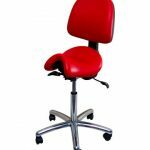 It can be tailored to suit any working environment and customised to your personal requirements. 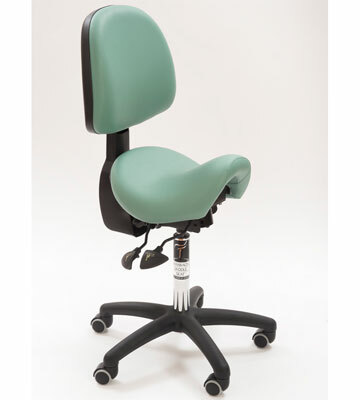 At Seated we can correctly size and fit your Bambach Saddle to ensure that you maintain optimal posture. 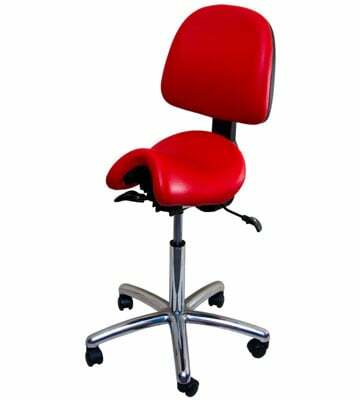 Standard office seating in the office can damage your body’s natural alignment and result in the spine adopting a hunched ‘c’ shape. This can cause an onset of conditions and problems associated with backache, pressure on nerves and tendons, fatigue, shoulder and back pain. 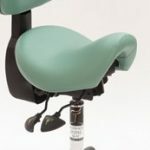 Sitting on a Bambach Saddle can help eliminate the onset of such problems and improve the users well being by helping to maintain the natural ‘s’ shaped curve of the spine throughout the office working day. 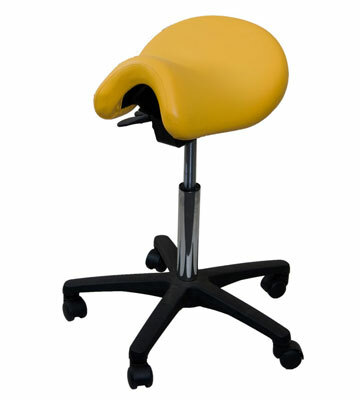 The Bambach Saddle Seat features and ergonomic design are scientifically proven to let you sit naturally and comfortably. Allowing the legs to drop naturally, and widen, creating a healthy and stable position. With long term use it can even strengthen the back and core muscles. 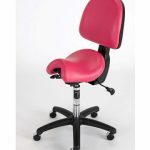 Custom made to suit individual needs ie 7 different height options and 4 different sizes. 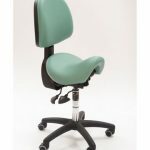 Eliminating some of the typical problems experienced with a traditional office chair such as slouching/hunching forward. Reducing back, neck and shoulder pain. 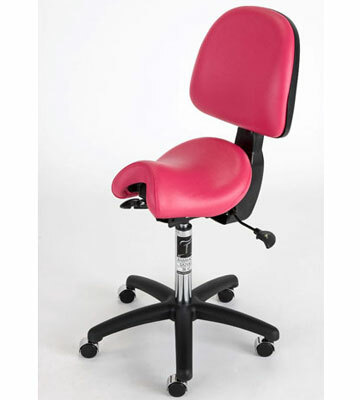 Whether you need a chair for the office, home, warehouse, your Practise, or anything in between, Bambach understands the strain sitting and working puts on your body. Eliminating Shoulder and back pain. 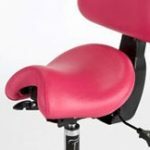 The Bambach keeps the spine in its natural, stress-free ‘S’ shape, as you sit, stretch or lean rather than the crunched ‘C’ shape we end up in with most seats. 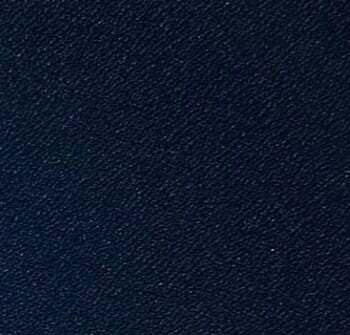 Improving precision in your work. When sitting with the pelvis in its neutral position, the back is relaxed and the body is free of tension. Shoulder are in their natural position, the arms and hands are free allowing the hands to sustain activity with precision and minimal body fatigue. Reducing fatigue by sitting with your spine in its neutral position with all major joins in balance engaging your core muscle groups. 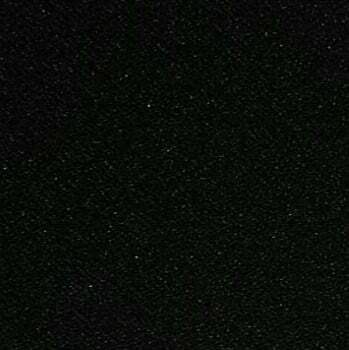 Your body is therefore less stressed and fatigue is reduced.